His concert date and ticket details announced. 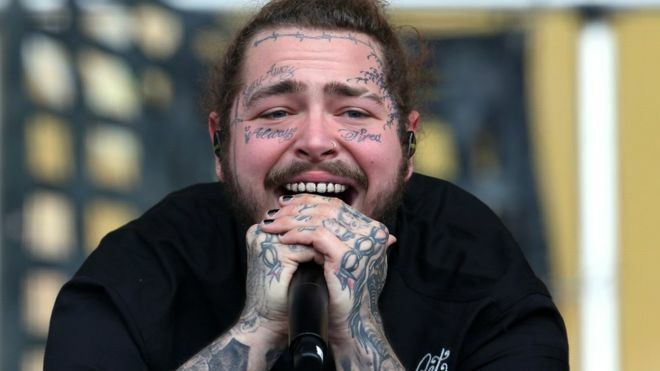 POST MALONE is the headline act who will be leading the pack at the TicketPro Dome on Tuesday, 18 June 2019. Having burst into the music scene in 2013, American rapper, producer, singer and songwriter Austin Richard Post who is known professionally as Post Malone has undoubtedly earned his recognition and respect in Hip Hop as he successfully and patiently wrote his own rules of the game. The multi-award winning Malone as he is affectionately referred to by millions of fans across the globe will be bringing stage presence, excitement and world class entertainment to the Castle Lite unlocks stage. This year the concert will have a two-day Hip Hop experience. Day 1 of the two-day Hip Hop experience, will see street culture, masterclasses, performances, inspiring Cold Table Convos, Street Fashion and so much more. Hip Hop enthusiasts now have a place to congregate and share their love for all aspects of the culture. This unmissable experience will take place on Monday, 17 June 2019 and will be laced with artists from across the globe. Iconic Hip Hop guru, vanguard radio personality and founder of the Sway Cyphers, SWAY CALLOWAY will be an integral part of the day one of the experience as he hosts the first ever Sway Cyphers in South Africa. Additionally, day one will feature culture influencer RIKY RICK, bragga NADIA NAKAI, Mr Fill Up CASSPER NYOVEST, the multi-award winning NASTY C, heavyweight lyricist ROUGE, AYANDA MVP and DJ PH. Tickets will be available from WebTickets at 12 noon on Thursday, 4 April 2019 for both day one and two of the experience. Ticket prices for day one are R250 and day two concert ticket prices start at R790. Limited two-day tickets are also available.